With electricity costs on the rise, Gary Smith calculated how much power he would need to generate to completely eliminate his bill and started shopping around for a solar system. With four adults in the household, a large swimming pool and a workshop out the back, the Smiths are aware of their energy consumption and try to be as energy efficient as possible. Mr Smith did thorough research before putting a deposit on a system. He chose Energy Matters because of the quality of the components on offer. It wasn’t just the solar panels which stood out for Mr Smith: after working with electrical engineers for most of his career, he was impressed by the work ethic and manner of Energy Matters’ solar installers. Months later and with their first power bill in hand, Mr Smith is happy he made the decision to go solar. With Queensland electricity prices set to increase again, Mr Smith wants to add three more panels to the system. 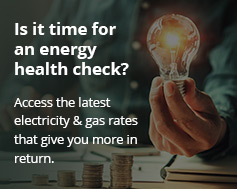 Join the Smiths and thousands of other Australians who are now making their own electricity with a rooftop solar energy system from Energy Matters! View our current specials or get an instant online solar quote.